Water Slice is the psyche-tinged, power pop of LA-based songwriter, Patrick Phillips. The most recent single, "Dream State," with its warm, saturated guitars and atmospheric vocals is reminiscent of an overcast day in the desert with the threat of rain. Phillips has assembled a band around him that LA Magazine calls, "something of a supergroup of the L.A. scene, comprised of members who've played with Gardens and Villa, James Supercave and others. Water Slice is the psyche-tinged, power pop of LA-based songwriter, Patrick Phillips. In 2014, Phillips moved from rain-drenched, Portland, OR, to sun-dried Los Angeles and quickly joined local psych-pop act, James Supercave, as a touring member on bass. 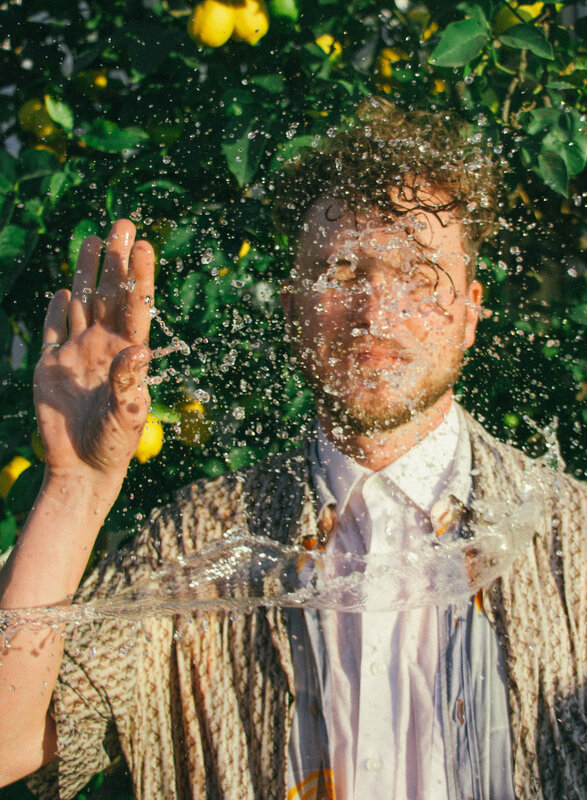 Phillips had been writing his own songs under the Water Slice moniker, but hadn’t thought to perform them until Portland friends, Radiation City, asked him to open for them in Los Angeles. Phillips quickly assembled a band around him, something of a supergroup of the LA scene, comprised of members who've played with Gardens and Villa, James Supercave and others. The first show led to many more in and outside of LA, where Water Slice has opened for the likes of Mac Demarco and OMNI. The first EP from Water Slice, produced by Chris Lynch and Adam Rasmussen from Gardens and Villa, will be out later this summer.